Mercedes Azpilicueta is a visual and performance artist from Argentina based in The Netherlands. Her artistic practice brings together various characters from the past and the present, who manifest as voices, shapes, texts, traces and memories into her multi-layered works. Calling herself a “dishonest researcher”, Azpilicueta navigates through multiple references and fields of knowledge, from art history to popular music, literature to street culture, falling in love with dissident figures and trajectories — feminist, queer, migrant, exiled individuals — who haunt her scripts, performances and videos. Yet, her work never indulges into cold reverence or archival fascination. By engaging the body with all its flaws and potentials — her own body, that of her models and collaborators, that of the spectators, but also fantasized ones — Azpilicueta embraces its fragility as well as its capacity for resistance and care. Most specifically known for her performance and video work, Mercedes Azpilicueta has recently started to develop a new turn in her practice, exploring the theatrical possibilities of sculpture and installation. However, the objects that she produces should not be taken for granted, as they always bear the potential of being activated in various ways. They could be translated as scores, set designs, props, mnemonic devices or records — disguised as sculptures. They often take different functions according to their context of apparition and travel merrily from a work to another. The fabrication of these objects often involves “poor”, craft-based or handmade techniques that are often associated with the domestic work of women and with subaltern knowledge, such as sewing, embroidering or dying. The materials are either recycled or natural (latex, leather, silk, wax) and add another layer of stories to the objects, that of the circulation of resources and knowledge often acquired through the violent exploitation of humans and nature. In 2018 she presented her first major solo exhibition, curated by Laura Hakel, at Museo de Arte Moderno de Buenos Aires. 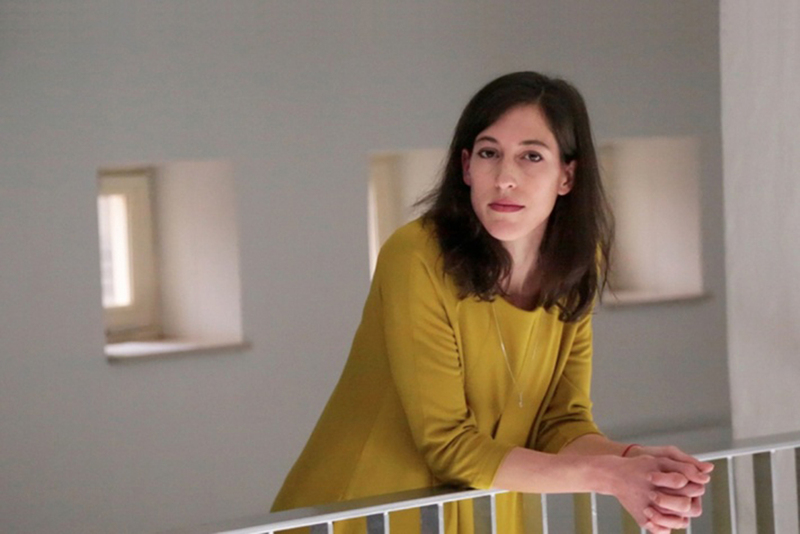 She received the Pernod Ricard Fellowship, Paris in 2017 and was artist-in-residence at the Rijksakademie van beeldende kunsten in Amsterdam in 2015-16. She has an MFA from the Dutch Art Institute/ArtEZ, Arnhem (2013), and a BFA from Universidad Nacional de las Artes, Buenos Aires (2007); where she also did the Artists´ Program 2009-10 at Universidad Torcuato Di Tella. Exhibitions and performances include, among others, REDCAT Gallery (Los Angeles, 2018), Villa Vassilieff (Paris, 2018), MACBA (Barcelona, 2018), MUSEION (Bozen, 2018), Centro de Arte 2 de Mayo (Móstoles, 2017), Onomatopee (Eindhoven, 2016), TENT (Rotterdam, 2015), Móvil (Buenos Aires, 2015), Irish Museum of Modern Art (Dublin, 2014) and Het Veem Theatre (Amsterdam, 2014). In 2019 she will present her first major solo exhibition in Europe, curated by Virginie Bobin, at CentroCentro, Madrid; and a solo presentation as part of Positions #5 curated by Nick Aikens at Van Abbemuseum, Eindhoven. Kindly written by Virginie Bobin, February 2019.